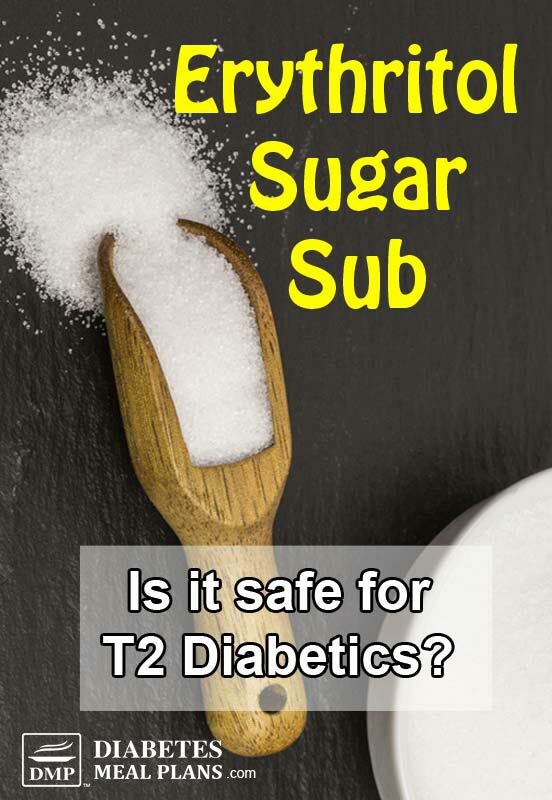 As a diabetic you may already be aware that consuming sugar will do no favors for your A1C or blood sugar levels. But when it comes to the world of sweeteners, there seems to be so many choices, so which one is safe to eat? That is a very good question. Because although majority of ‘sugar free' or ‘diet' food products contain a sugar substitute, it is more common to see artificial sweeteners. Rather than help (which is what you'll hope they do), these have been shown to worsen obesity, diabetes and other health conditions. On the other hand, sugar alcohols such as erythritol appear to provide a safe alternative that you can use to sweeten your recipes – without any negative side effects. So let's explore a bit more about this sugar substitute now. Erythiritol is a hydronated form of carbohydrate used as a replacement for sugar. It's 60-80% times the sweetness of sugar. Erythritol is one of the ‘sugar alcohols.' You might have heard of xylitol, sorbitol and mannitol – these are sugar alcohols, too. These aren't really alcohol at all, they are just termed a sugar alcohol because of their chemical structure. Erythritol is claimed to be a “natural” sweetener because it can be found in nature in food sources such as seaweeds, fungi/mushrooms, and fruits like melons, grapes and pears. The erythritol metabolite can also be found in fermented foods like soy sauce and miso, wine, beer, and cheese. Since erythritol is now used as a sweetener on mass scale, it gets produced in large amounts using a chemical and fermentation process. The fermented solution is then purified and crystalized into a pure polyol (sugar alcohol) and used as a replacement to sugar. Erythritol is often found in combo with other sweeteners such as stevia. Around 90% of erythritol is resistant to metabolism in the body. It does get absorbed in the small intestine but does not ‘uptake’ into the bloodstream. Most of it simply gets excreted in urine. Erythritol contains just 0.24 calories per gram. It contains zero carbohydrates and zero nutrients. 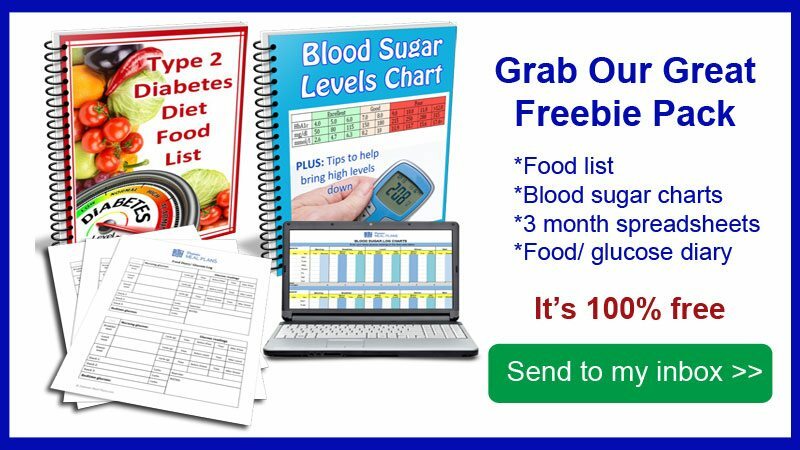 In one clinical trial, neither stevia nor erythritol affected glucose balance in diabetics. It has little, if any, influence on blood sugar levels, insulin or A1c. In both lean and obese subjects, the consumption of erythritol released gut hormones that help slow down gastric emptying. What this means is that foods you eat take longer to digest, which helps improve nutrient absorption and utilization. There was also no effect on insulin shown. 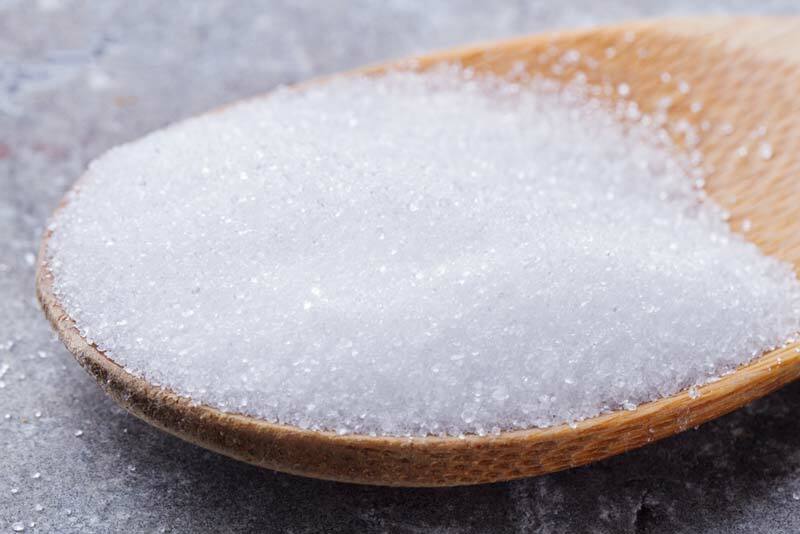 In diabetic patients, consuming erythritol was found to improve endothelial function, meaning it improved artery function and may provide heart-healthy benefits. Another study has shown that erythritol may have a protective effect on diabetic stress to the endothelium. The endothelium is the thin layer of cells that lines all the blood vessels and lymph vessels in the body. These linings get affected in a negative way by diabetes and can contribute to diabetic complications. According to the study, erythritol doesn't influence a person with normal blood sugar in the same way but only has this influence on diabetics. The progression of diabetes and development of diabetic complications is linked to high blood glucose and oxidative stress. Erythritol is an antioxidant and has been shown to scavenge those free radicals (produced from oxidative stress) that may cause havoc in the body. Studies to date suggest there are no toxic affects or side affects from consuming erythritol. So Is Erythritol Safe To Eat? As far as sugar alcohols go, erythritol is one of the best because it is produced by “natural” means and this makes it one of the better ones to handle for most people, as far as digestion goes. There seems to be no reported side affects or studies to prove any adverse affects, unlike artificial sweeteners like aspartame. And it even seems there may be some additional health benefits for people with diabetes specifically. We mainly use stevia to sweeten our desserts and saucy meals. But if you prefer the taste of erythritol over stevia or you like the taste of the combo, then it could be a great sweetener option for you. So good to find someone knowledgeable of diabetics and their struggle with food and complications inherent to the condition. Thanks for your research, and your platform on which to share! This was very useful information. Thank you for the article.